Rory was an active, healthy 12-year-old boy when he fell on the ground during a basketball game in 2012 and suffered what seemed like a minor cut. When he was treated in a nearby hospital emergency room, the seriousness of his injury and infection was not diagnosed by doctors on duty. He was sent home after doctors said he was suffering from an ordinary bellyache. Hours later, lab results became available that suggested he was extremely ill. Unfortunately, his parents were not contacted. Rory died of a spreading infection known as sepsis. His death has prompted officials to require hospitals to start treatment sooner in cases of sepsis. Some experts are hoping the regulations will be adopted and put in place nationwide by the federal government. If you or someone you know has suffered from sepsis or has died of sepsis, you can obtain help by filing a medical malpractice or wrongful death claim. Robert Kreisman has extensive experience in handling cases of sepsis and septic shock. Sepsis is an illness in which the body has a severe response to bacteria or other germs in the bloodstream. According to the National Institute of Health (NIH), the symptoms of sepsis are not caused by germs, but rather, by chemicals the body releases that cause the response. Sepsis can originate in the bloodstream, bowels, kidneys, brain lining, liver, lungs or skin, according to the NIH. It is crucial that the symptoms of sepsis be recognized and the patient be given medical care immediately. Symptoms include rapid breathing, chills, delirium or confusion, shaking, rapid heartbeat, skin rash, warm skin, lightheadedness and low blood pressure. A diagnosis of sepsis is usually confirmed through a blood test. Treatment includes hospitalization in the intensive care unit. The patient is given oxygen, antibiotics and large amounts of fluid intravenously. Dialysis is given if the kidneys have failed. The patient is put on a breathing machine if necessary. Sepsis can lead to organ failure and can be life threatening, especially among the elderly or patients who have an illness or a weakened immune system. Sepsis usually starts with an infection in one part of the body such as a urinary tract infection. As one example, Muppets creator Jim Henson died in 1990 from sepsis that started out as pneumonia. He was only 53 when he died. The incidents of hospital admissions for either sepsis or septic shock account for about 2.9 percent of all hospital admissions and 10 percent of the admissions to intensive care (ICU). Dr. Mitchell Levy, a professor at Brown University School of Medicine and a lead author of a 2012 paper on sepsis treatment guidelines, called sepsis “the most common killer in intensive care units.” He said sepsis kills more people than breast cancer, lung cancer and stroke combined. Patients admitted into the hospital and then treated for sepsis are usually placed in the ICU. Many times patients who are diagnosed with sepsis are transferred from the general medical and surgical units, operating rooms, long-term care facilities, nursing homes or other hospitals. Because delays in identification and treatment of critically ill sepsis patients during the first six hours after admission have been associated with a high mortality rate, it is crucial that these patients are cared for directly. Septic shock results when blood pressure falls and patients become hypotensive (less than 90/65). The transition from sepsis to septic shock occurs most often during the first 24 hours. Infections leading to sepsis can be deadly if not treated by medical professionals in a timely and effective manner. 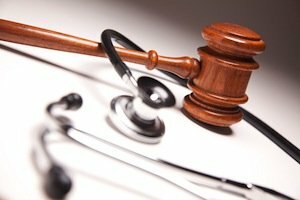 In the case of medical malpractice related to sepsis, its non-treatment or misdiagnosis, it is imperative that you have experienced lawyers on your side. With over 40 years of handling wrongful death cases arising from medical errors connected to sepsis, Kreisman Law Offices has the know-how and resources to aggressively handle your family’s wrongful death claim and obtain justice. Contact our offices at 312.346.0045 or 800.583.8002 for an immediate free consultation, or fill out a contact form.